Win Final Fantasy XIII and XIII-2 Goodies with Nova Crystallis! Square Enix has announced today that Final Fantasy XIII-2 will be joining its Ultimate Hits budget line of products. Additionally, a Digital Contents Selection will also be available with a wealth of downloadable content that was released for the game early last year. Priced at ¥2940 and ¥5040 respectively, the Ultimate Hits and Digital Contents Selection will go on sale in Japan on July 18th. 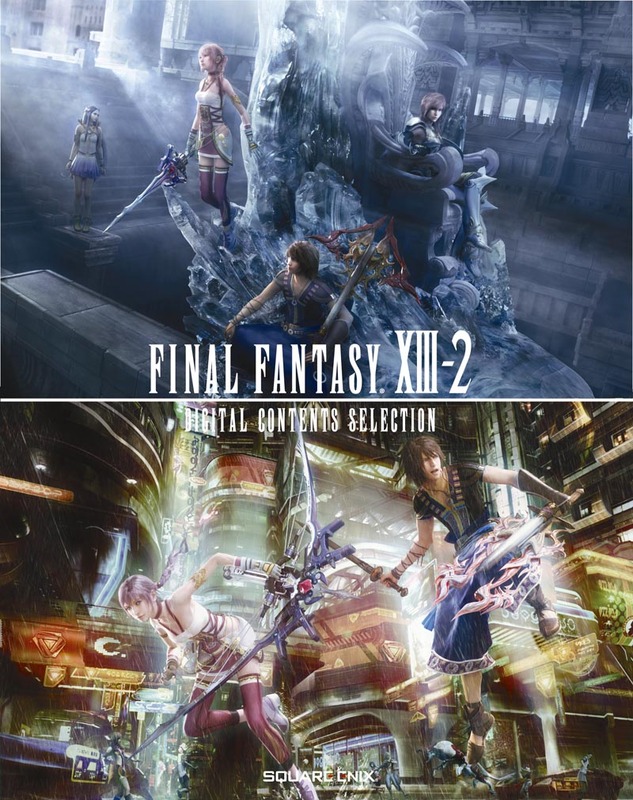 The Digital Contents Selection is said to contain nearly every DLC item and scenario save for the Assassin’s Creed, Mass Effect, and AKB48 designed outfit for Serah. The Ultimate Hits version will also be made available as a digital download two days prior to its retail release, on July 16th, for ¥2,940 on PlayStation Network and 2,000 Microsoft Points on Xbox Live. The Additional Content Selection – which requires a copy of Final Fantasy XIII-2 – will be made available on the same day for ¥2,100 on PSN and 1,360MSP on XBL. As of this writing, a similar package has not been announced for western territories. Posted in Final Fantasy XIII-2.